As I approached the door of my home office today to come out for lunch, I saw that a large sheet of green paper had been slid under the door. 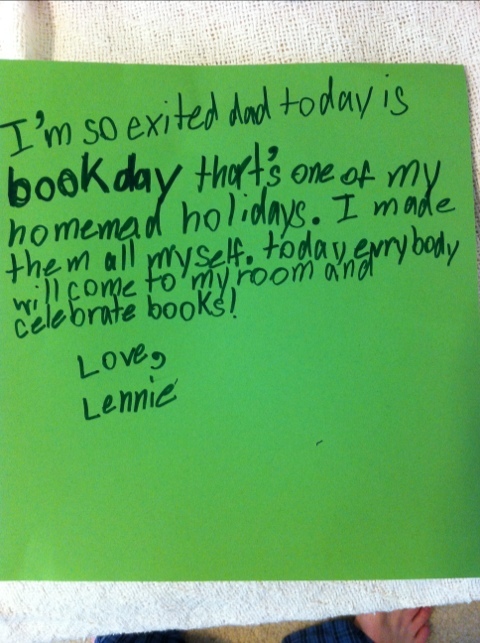 My seven-year-old daughter is making up holidays, and today is apparently Book Day. This is a holiday I can get on board with. I’m not sure yet what the specifics of the celebration will entail. She's seven. We'll work on the your/you're distinction soon enough. Okay, first: cutest thing ever. Second, she has great taste. Third, child spelling is to me the most magical thing on the planet. They own their own language. And we get to watch it. Makes me a little weepy, actually. So does Book Day. Mostly because our Book Day celebrations involve mixed drinks and roasted onions. Don’t ask. 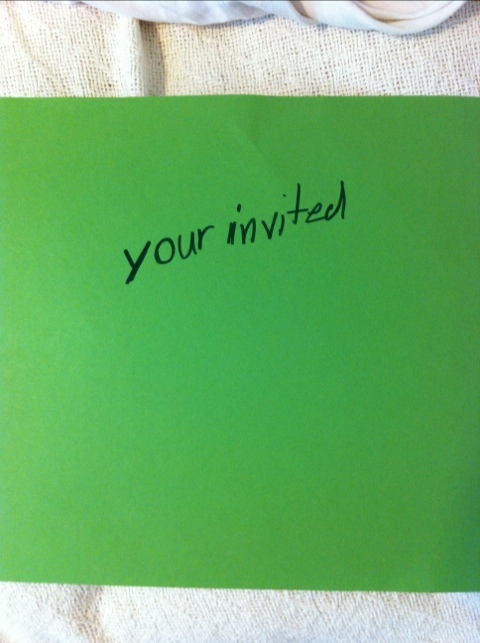 Child spelling is magical, but that “your” made me cringe a little (I think she actually knows better).